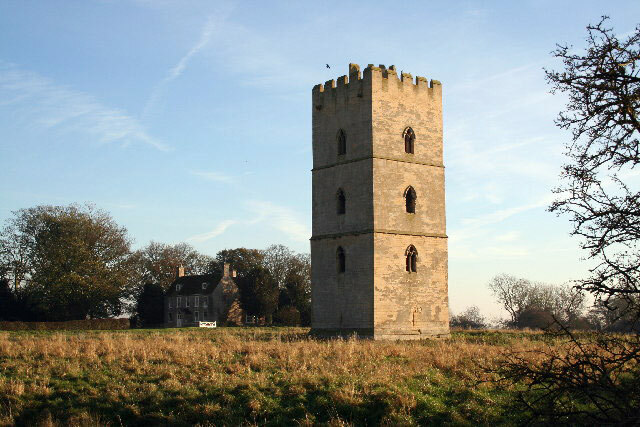 Only one of several towers, 77 feet high, still stands which once formed one of the four corners of the 14th century castle which was built on a Saxon site. The other stonework has been removed over the years as a trip around the area will reveal farm buildings, houses and a large manor house to be built of the stone. The moat and the old fishponds are still visible, as are the remains of the priory nearby which dates from 1170 but is now a chapel of mainly more recent construction. Private.